Sunday mornings are a very busy time in and around First Omagh when God is at the centre of our thoughts and our worship. Sunday School meets every Sunday morning from September through to June from 10.15 am till 11.15 am. 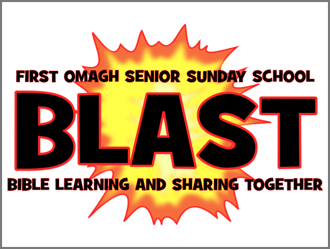 The Junior Section, J I G S A W… Jesus Is Great, Super and Wonderful (Y1-Y7) meets in the Rowan Hall and the Senior Section, B L A S T… Bible Learning And Sharing Together (Y8-Y11) meets in the Blair Room and Lecture Hall. Weekly lessons from Scripture Union resources are supplimented by special events at which family and friends can join in. Currently there are six teachers helping the co-ordinator, Mrs. Catherine Black, to teach our children and young people and help increase their biblical knowledge and foster a keen interest in the Christian faith. Those young people in Y11 take Pre-Communion classes in the month of April (conducted by the minister) in preparation to taking Communion on the first Sunday in May. Sunday Morning Worship takes place at 11.30 am and takes the form of a traditional Presbyterian service with prayer, scripture readings, childrens address, sermon and music. Children’s Church caters for children of primary school age, meeting during Morning Worship (the children leave the main service after the children’s address). A Bible story is used and is then followed by various activities in a fun environment. Staffing is on a rota basis with a minimum of two people each week. During special family services such as baptisms, the children return to the main service at the appropriate time. ‘Church For Youth’ (known as c4u) is an organisation for 11-15 year olds. The young people go to the Youth Room with their leaders halfway through Sunday Worship. In 2005, the then minister Rev. John Murdoch and members of session identified a need for this age group and saw this as a means of encouraging young people to come out and enjoy church activities. The first meeting of c4u was held in January 2006. There are six leaders (two male and four female) who cover each Sunday on a rota basis. The leaders are supported by a sub-committee which offers practical support and advice. A meeting is convened three to four times a year to plan and organise the programme of events for each term. The activities are varied ranging from quizzes to sign language and where possible use the skills/knowledge of the leaders. Occasionally guest speakers are invited and particular insight was gained by the young people when a representative of the local animal shelter attended. On another occasion a guest speaker who had experience of being involved in the Second World War intrigued the young people with her recall of life many decades ago. The group also enjoy participative games such as badminton, bowling and unihoc. The programme takes into consideration the church calendar in order that the understanding that the young people have of special occasions can be enhanced. An example is Christian Aid when our young people raised a substantial amount of money by having a stay awake one Friday night. 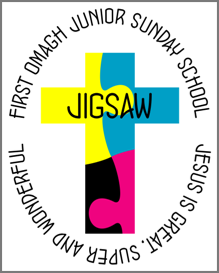 The members of First Omagh in general are also very supportive and are very impressed when the young people participate in church wearing their t-shirts which have been printed for them with the c4u logo. The young people have led Sunday Worship, have performed sketches to highlight Biblical themes, lifted the collection and read scriptures and prayers throughout many special services. On occasions the young people have provided the minister with items crafted by themselves to enhance his sermon. Outings twice yearly are organised for the group and these are thoroughly enjoyed. This group has flourished and developed due to the supportive and close working relationship that has developed between its leaders, sub-committee and minister.